After the advent of coke fires in malting kilns and the resulting introduction of pale malts in the late 1700’s, this process left the more affordable darker beers such as the Brown Ale for the working class. 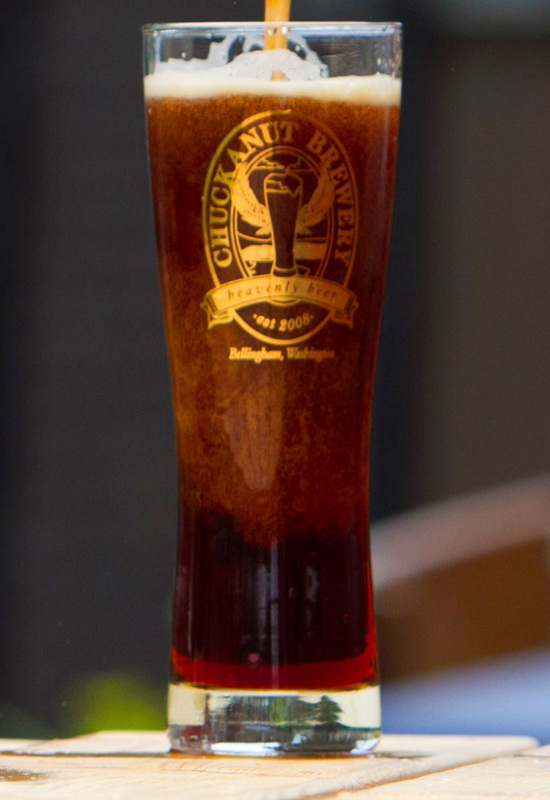 Chuckanut’s brown colored ale has an aroma of chocolate and toast followed by a pleasant nutty aftertaste. With a dry finish this beer is friendly and inviting! British Brown Ales go particularly well with cured meats, red meat, barbecue, game, and cheese. Brown ale nearly pairs perfectly with steak, the chocolate and caramel notes from roasted and caramelized malts link up with the char developed in the broiler or on the grill. Chili will accompany your Brown Ale nicely. The classic ploughman’s lunch features a pint of Brown Ale, which is great with cold roast beef, salami and a wide variety of cow’s and sheep’s milk cheeses.